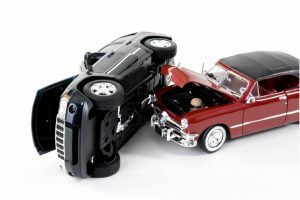 Your goodfirm Vancouver Personal Injury lawyer can help recover lost wages if you have been injured in an accident. A recent motor vehicle case from the Supreme Court of British Columbia shows the courts approach to determining a wage loss award and illustrates why it’s important to have good liability coverage. In Noftle v. Bartosch, 2018 BCSC 766, a plaintiff was injured when a flatbed truck struck the left side of her vehicle while she was stopped at a highway exit ramp. She suffered a variety of soft tissue injuries to her neck, back, shoulders and complained of headaches, migraines and sleep disturbance. The main issue at trial was the value of her lost future wages and the cost of future medical treatment. Prior to the accident, the plaintiff was an active grandmother of three children and heavily involved as a volunteer in her church and community. Four years after the accident she had not fully recovered and experienced mood changes, depression and other psychological issues which limited her ability to volunteer as she had before. There must be medical justification and the claims must be reasonable: Milina v. Bartsch (1985), 49 B.C.L.R. (2d) 33 (B.C.S.C.) at para. 180. It is not necessary, however, for a physician to testify to the medical necessity of each and every item of care claimed but there must be some evidentiary link drawn between the physician’s assessment of pain, disability and recommended treatment and the care recommended by a qualified care professional: Aberdeen v. Zanatta, 2008 BCCA 420, at paras. 43-51. McLachlan C.J. accepted the evidence of a rehabilitation expert in rehabilitation. The court heard from a variety of experts about the plaintiff’s ability to earn income and her future care needs. The plaintiff sought an award of roughly $200,000 for a chronic pain program, pain management therapy, housecleaning services, gardening assistance, and medications. The defendant argued that an award of $1,500 – $20,000 was appropriate and that the gardening expenses were extravagant. The court awarded the plaintiff $169,317 finding that the plaintiff’s gardening activities were a central role in the plaintiff’s life pre-accident which she could no longer do. The court went on to find that the accident had changed virtually all aspects of the plaintiff’s life and awarded $170,000 for pain and suffering. The goodfirm Vancouver Personal Injury lawyer can assist in preparing your case to make sure you get compensated for all the future medical treatment you made need as a result of the accident. With respect to the plaintiff’s loss of future earning capacity, the court reiterated that the purpose of an award for loss of future income is to compensate a plaintiff for the loss of the work they would have done, but for the accident occurring. The plaintiff must always prove that there is a real and substantial possibility of a future event leading to an income loss. Prior to the accident, the plaintiff had worked attended and worked for a University, aiming to reach a permanent position but left because of the accident. The expert evidence was that she was unlikely to return to her work. Relying on the calculations of the plaintiff’s economist, the court held that had the plaintiff continued with her job or similar employer her income loss would have been $650,000 after factoring some negative and positive contingencies. The court also awarded $107,000 for the loss of a municipal pension that would have accompanied her job. The goodfirm Vancouver Personal Injury Lawyer have the expertise and experience to make sure you receive compensation for future lost wages. In total, the plaintiff received an award $1,194,410 in damages. As a cautionary reminder, ICBC’s basic autoplan insurance only provides coverage up to $200,000. If the defendant in this case didn’t purchase extended liability insurance, they will be on the hook for the remainder of the damage award. ICBC does offer extended third party liability up to $5,000,000 for a nominal rate. Your goodfirm Vancouver Personal Injury Lawyer recommends obtaining at a minimum $5M in insurance coverage to protect in case of a large damage award against you.